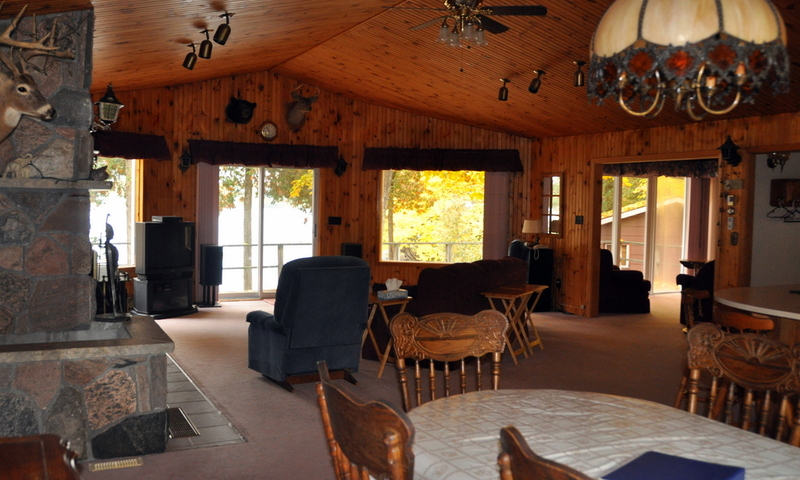 Here is a vacation getaway for those with an extended family. 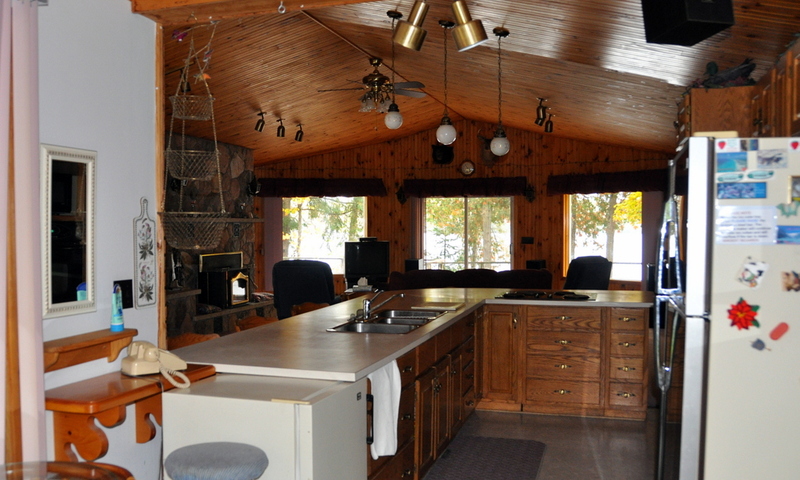 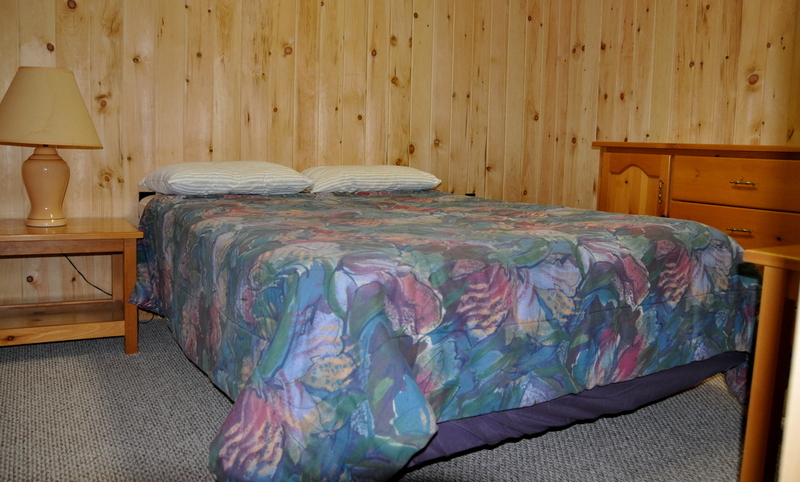 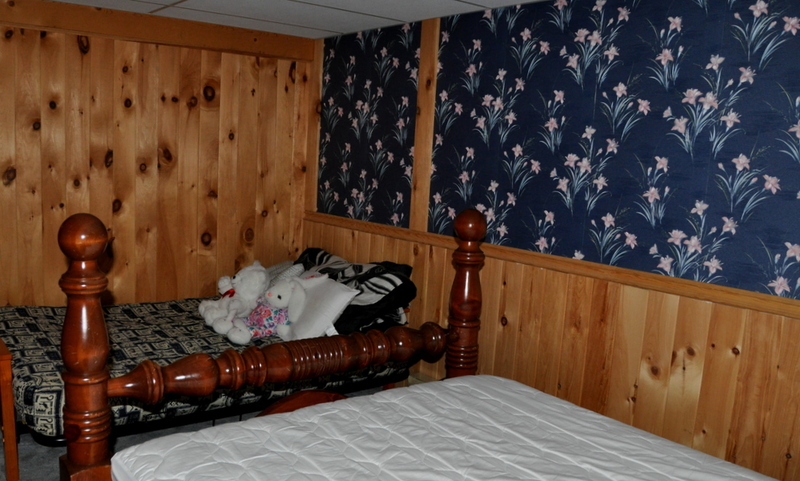 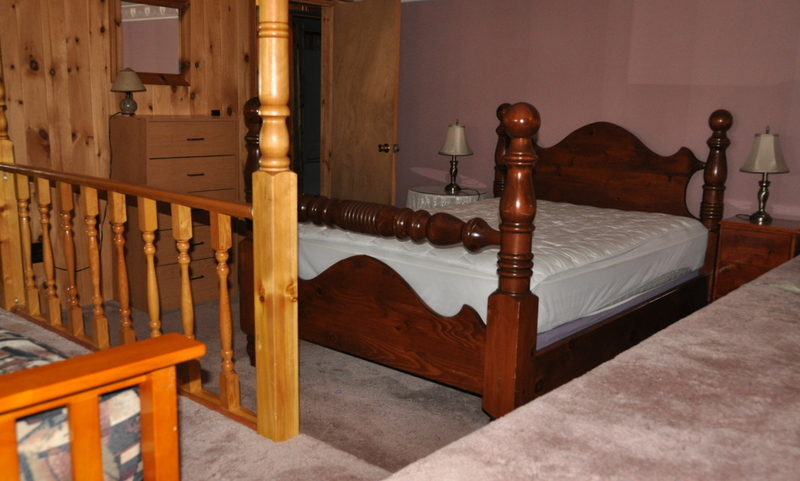 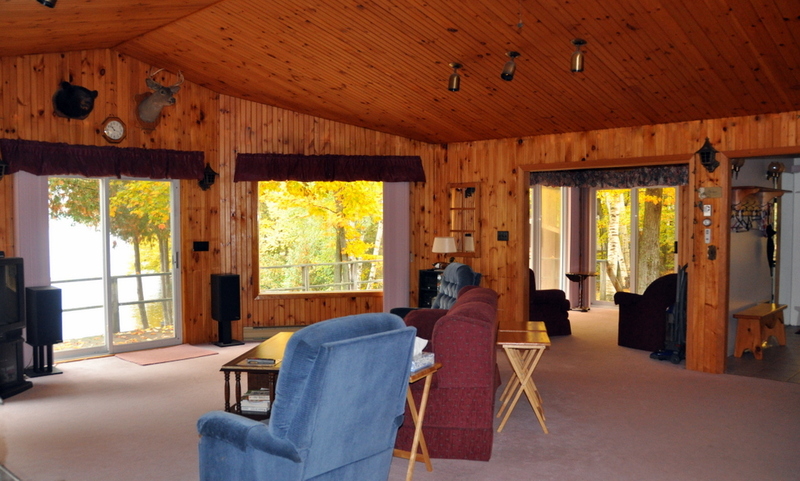 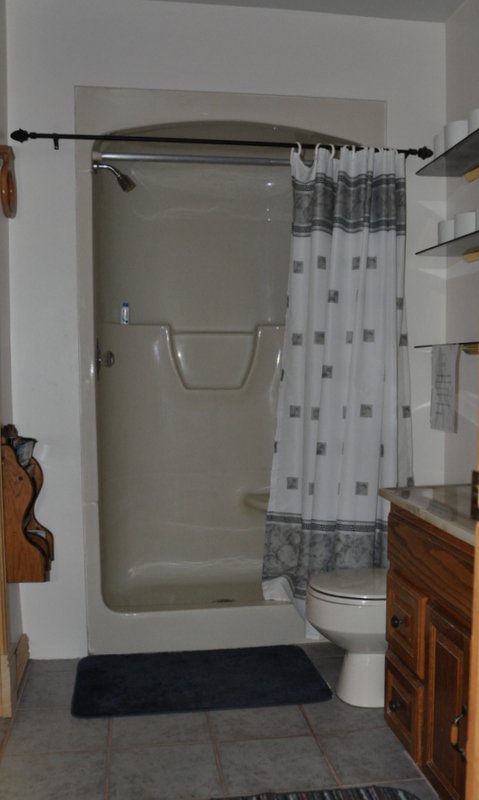 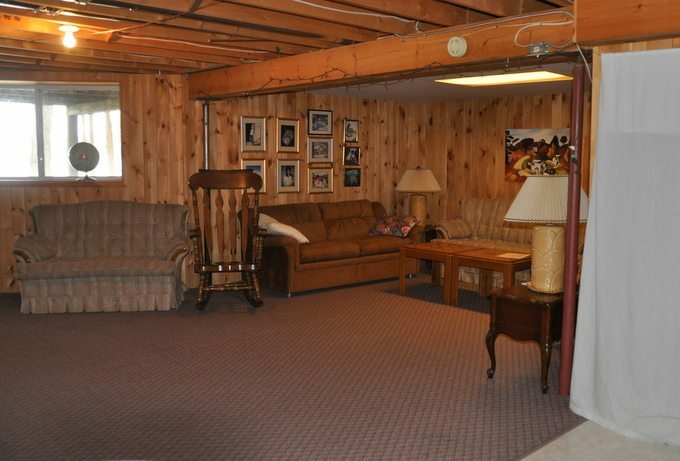 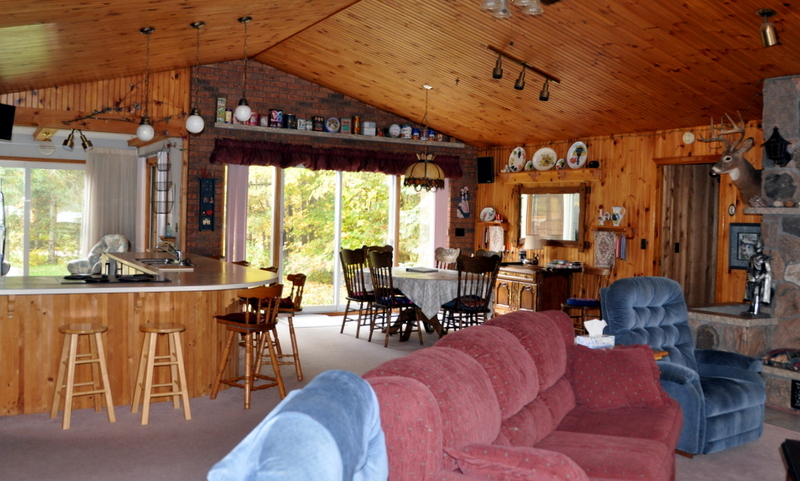 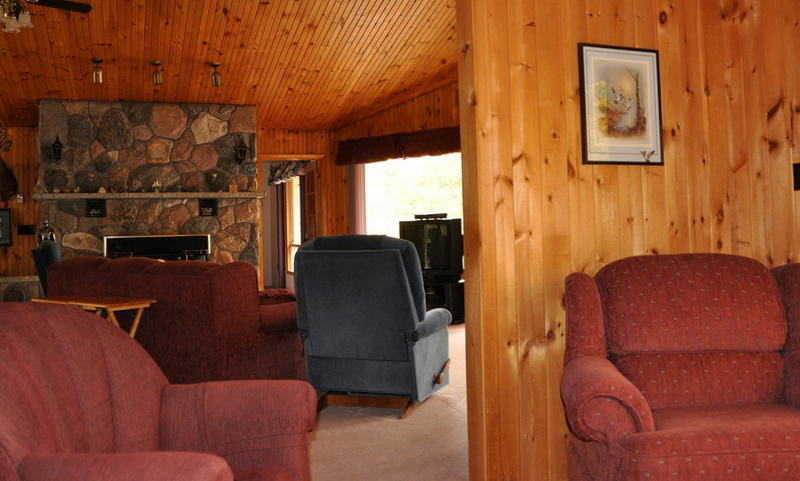 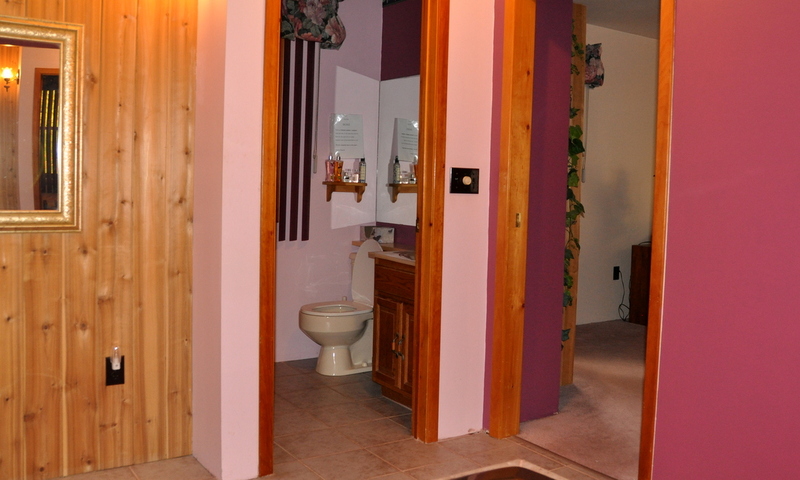 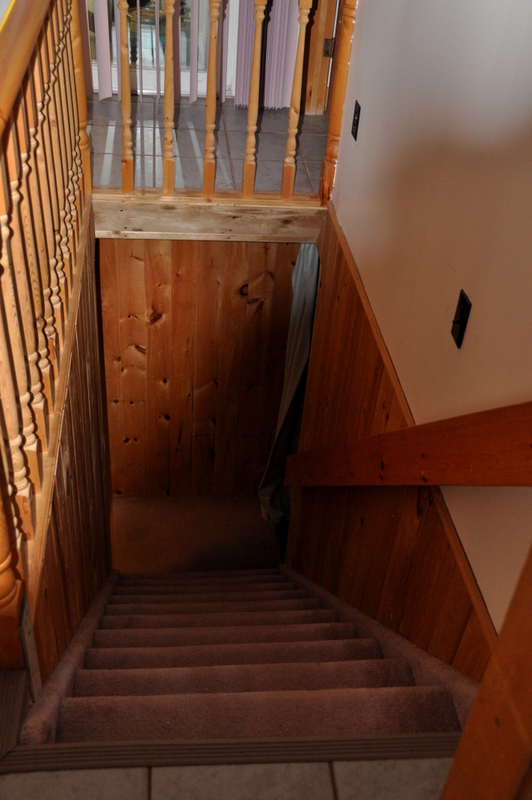 This property has been geared towards fun at the cottage for the all the kids and grown ups alike. 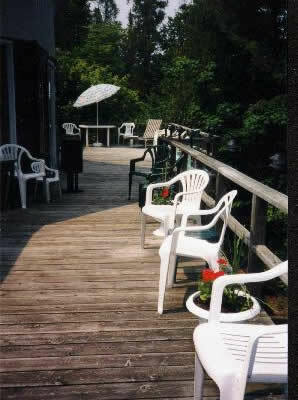 Enjoy fun at the waterfront all day long in the shallow sandy swimming area and on the docks. 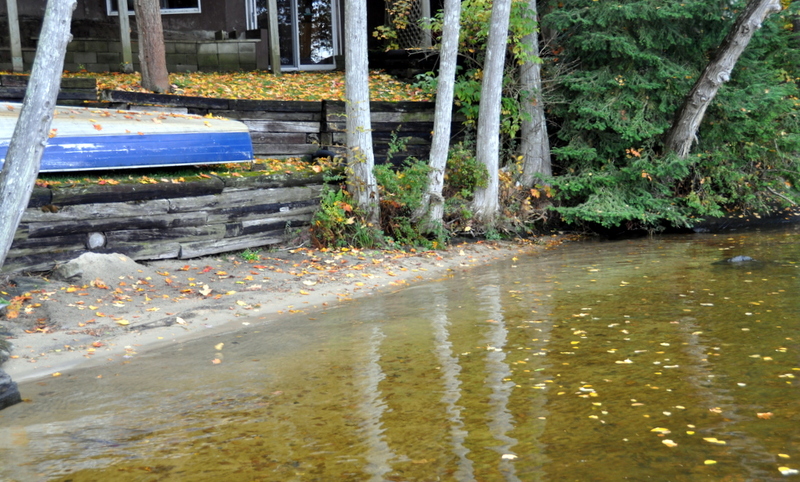 There are lots of water toys available here for the kids. 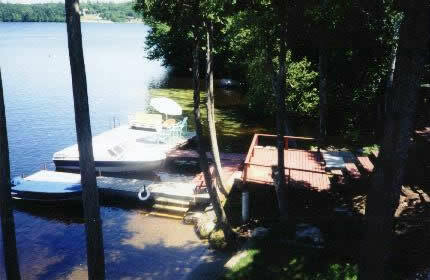 At your leisure you can take the canoe out for a paddle or grab one of the rowboats and go do some fishing. 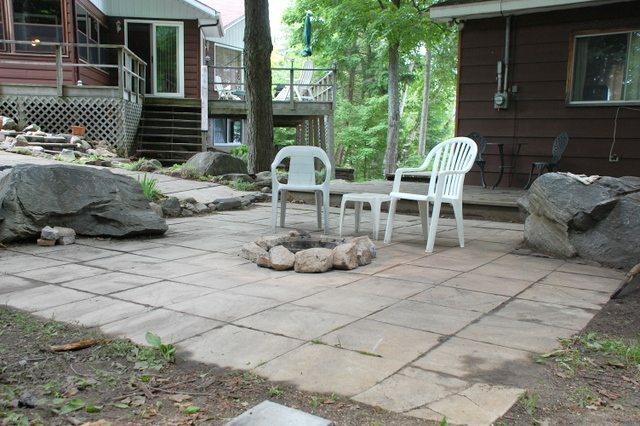 Family campfires on the large patio area are sure to be big hit as you wind down for the evening under the stars. 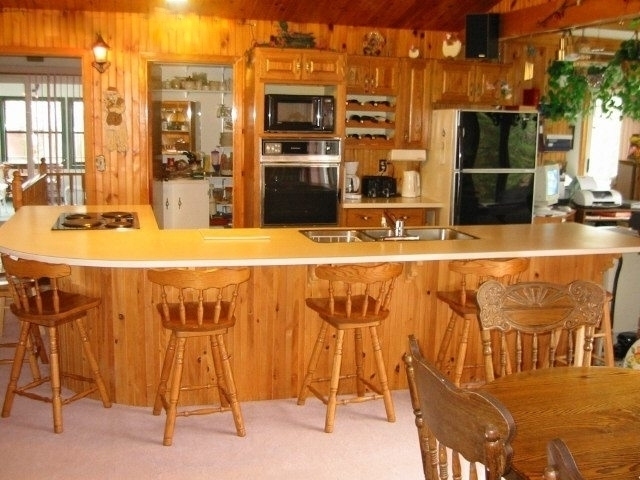 Inside, you'll find a spacious kitchen and a large curved island with seating. 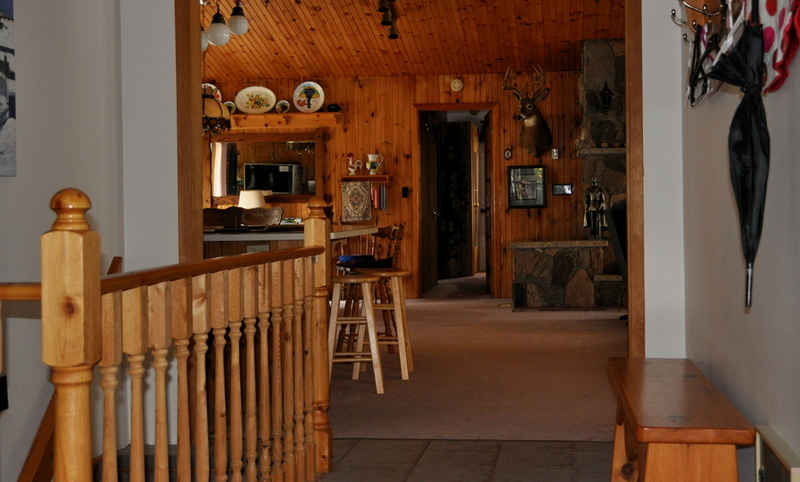 Next to this is the dining room which has a sliding door access to the back yard. 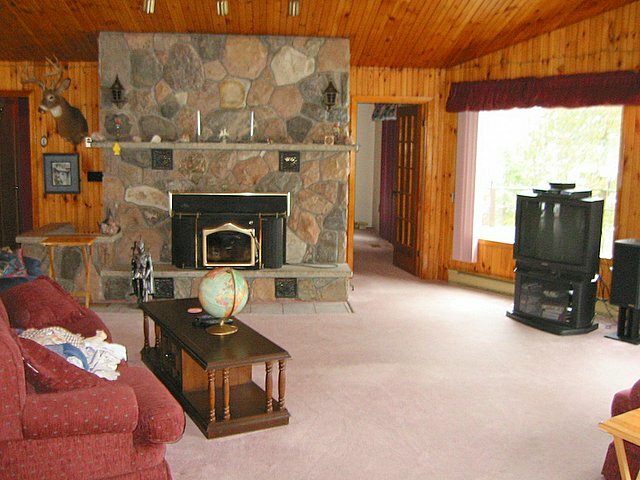 The living room has plenty of seating to gather around the lovely stone fireplace insert and from here you have access to the large front deck that looks out over the water. 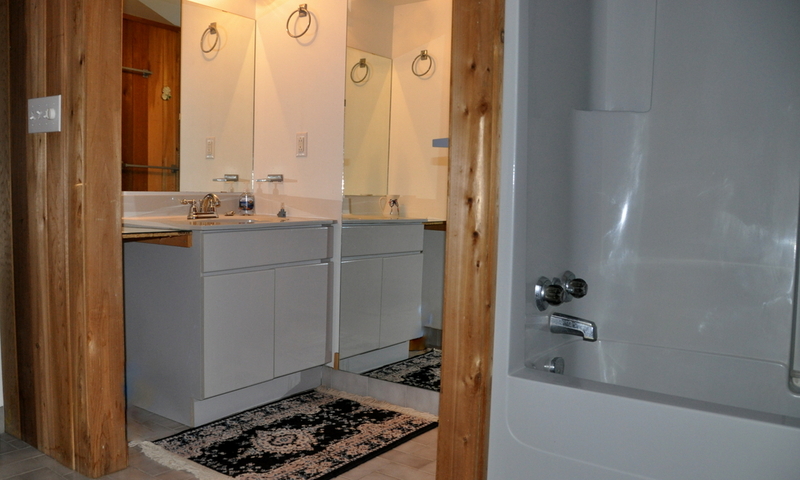 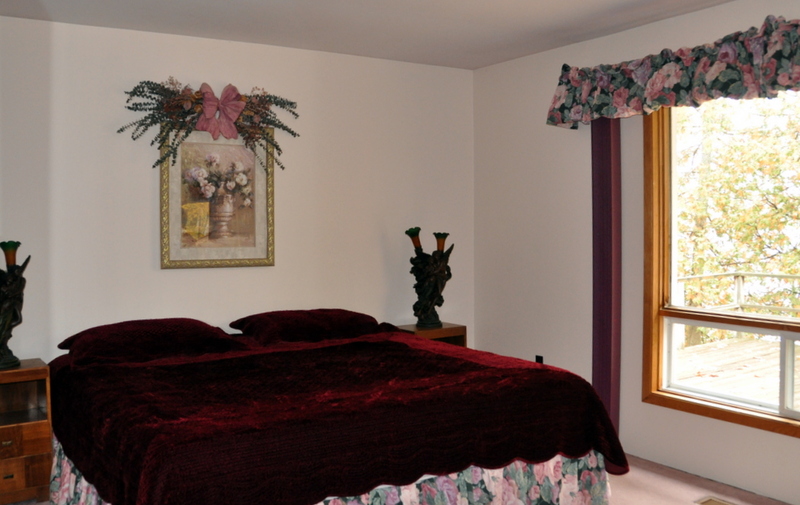 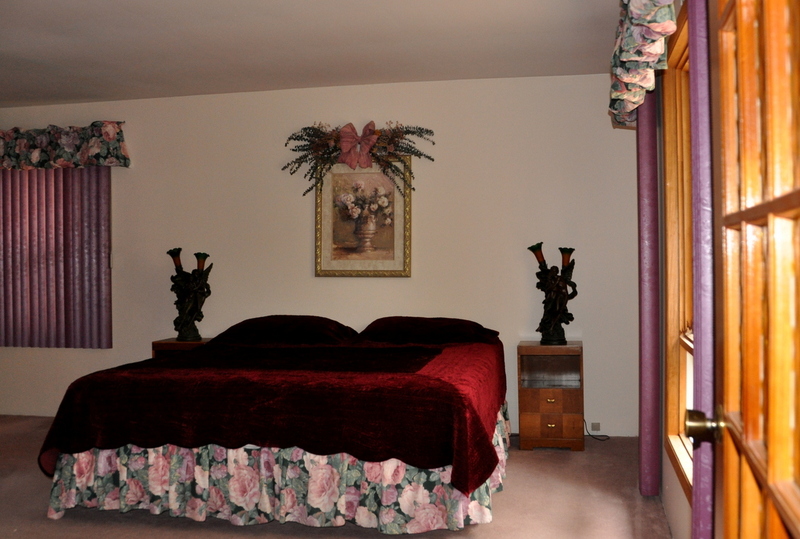 The master bedroom is also on the main floor and has a 2 pc ensuite. 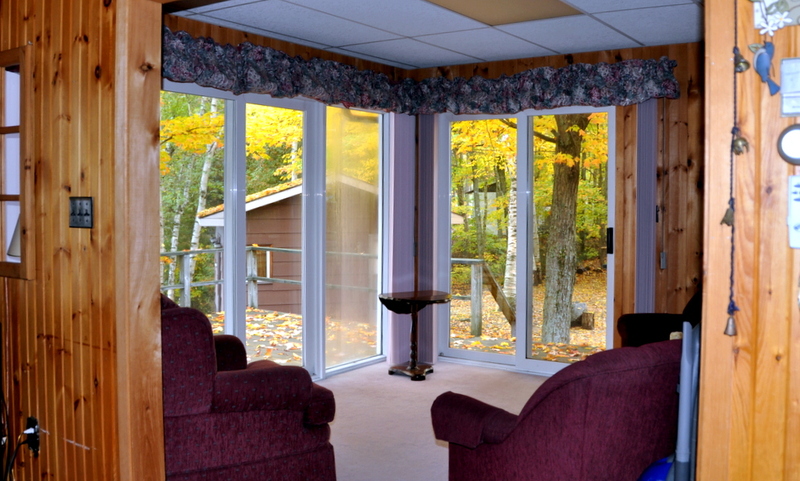 A Muskoka room off the side of the cottage allows you to relax in the beauty of the outdoors without being out in the elements. 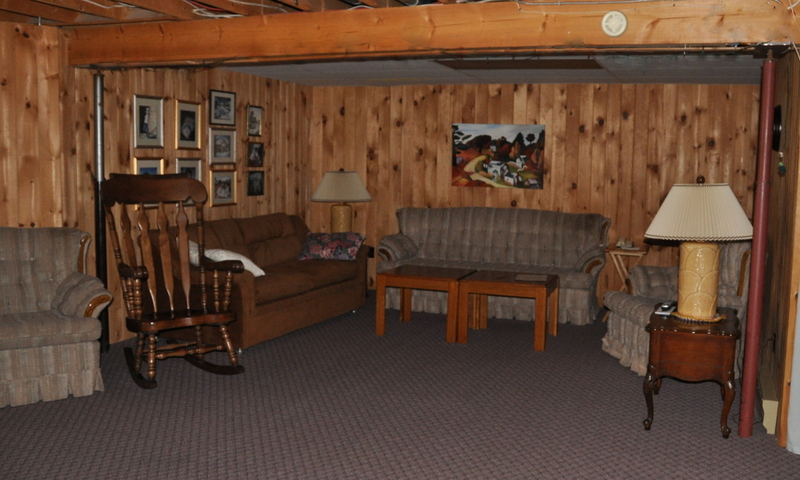 Downstairs, the walk out basement has the other 3 bedrooms and the rec room, where you can watch sports and movies on a 32" TV. 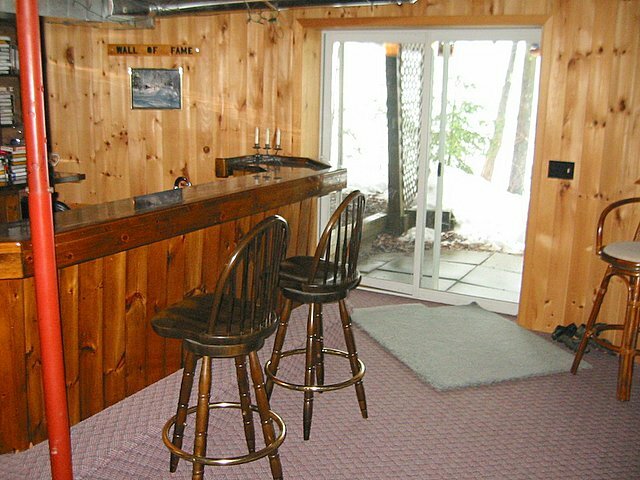 The bar area plays host to social occasions and the sliding glass doors lead you out to the waterfront. 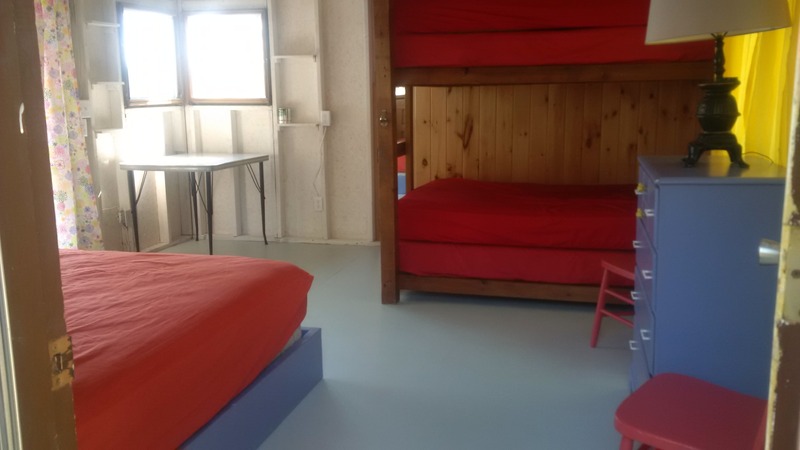 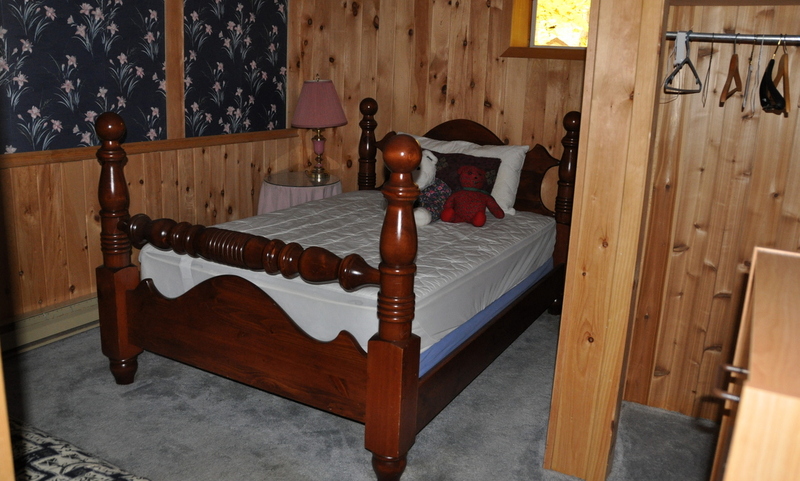 This property also has a bunkie for additional sleeping or to serve as a play area for the kids. 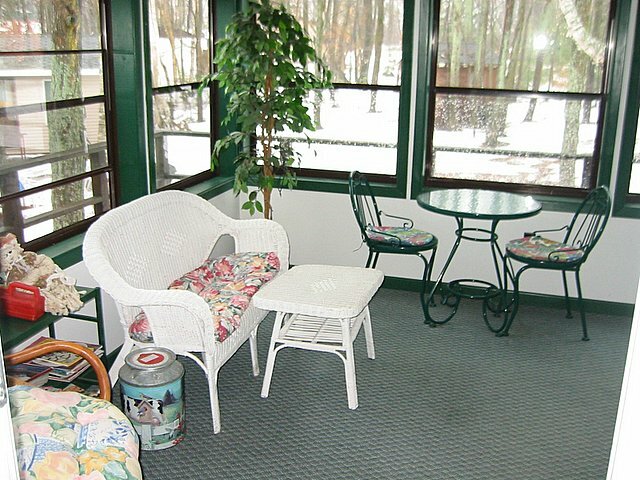 This cottage offers many options for enjoying your holiday whether you live for the outdoors or prefer to remain inside. 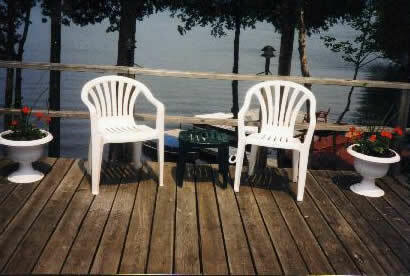 Here, the choice is yours. 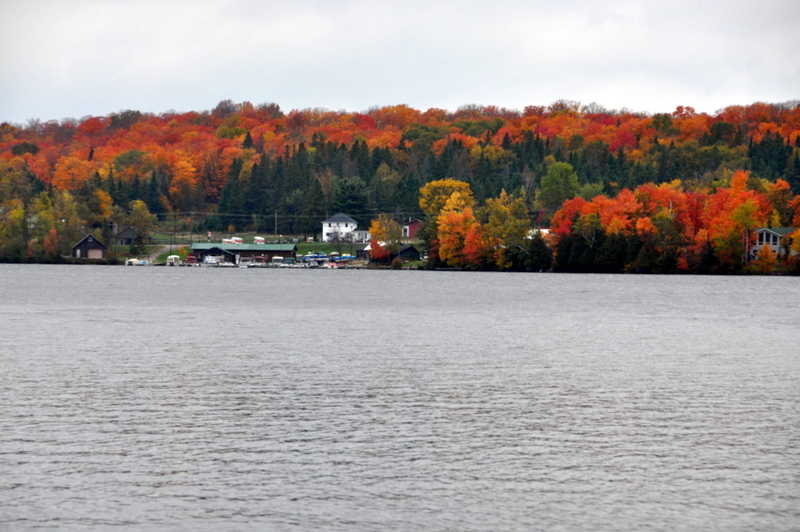 LOCATION: About 20 min's west of the town of Burk's Falls just off Hwy 520. 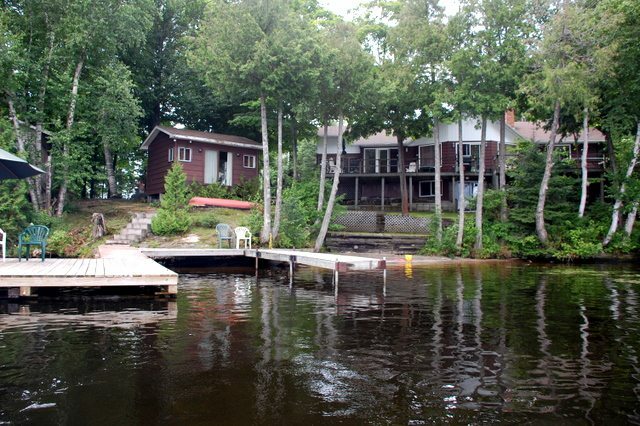 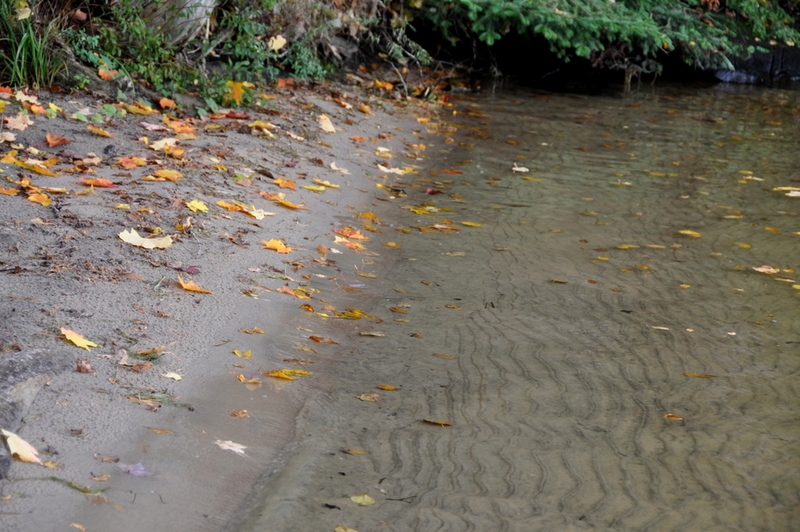 Groceries, shopping, gas and LCBO can all be found just 20 min's from the cottage. 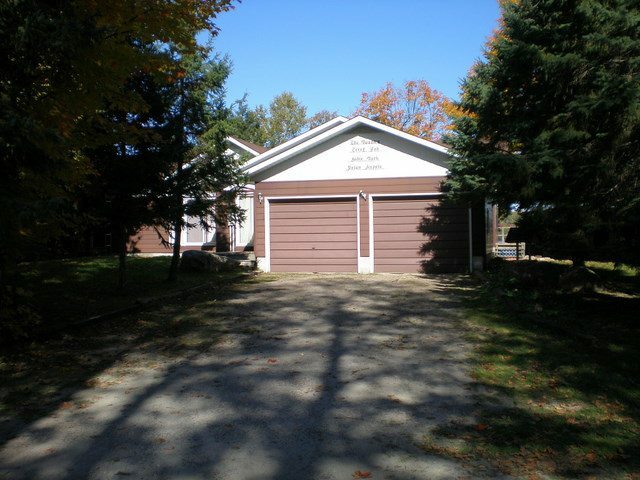 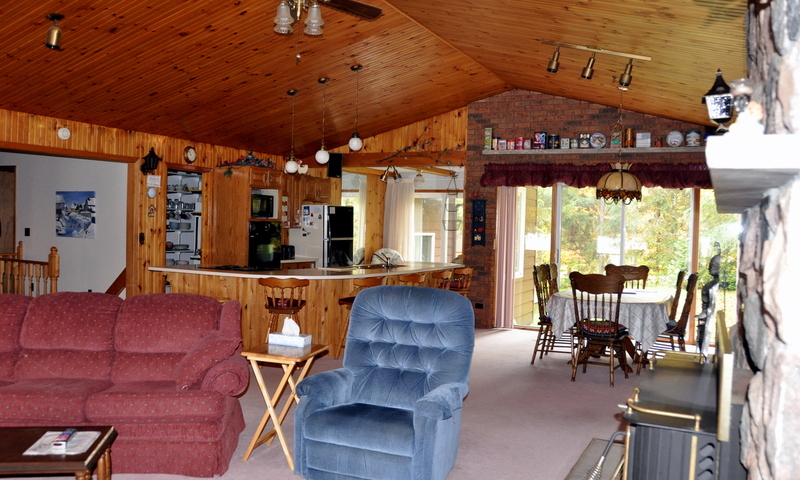 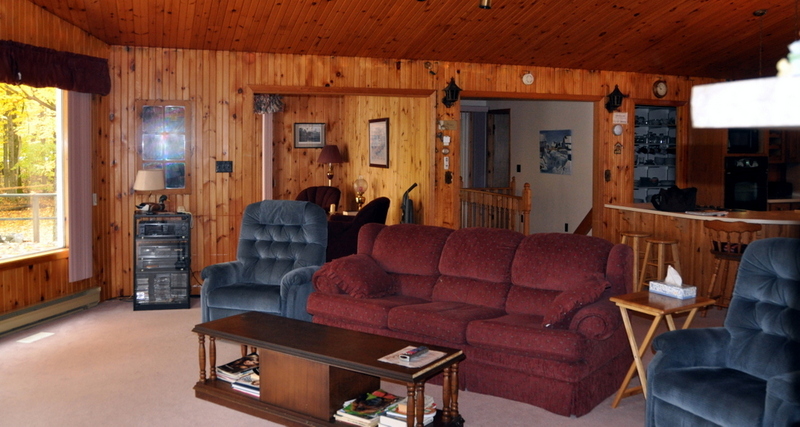 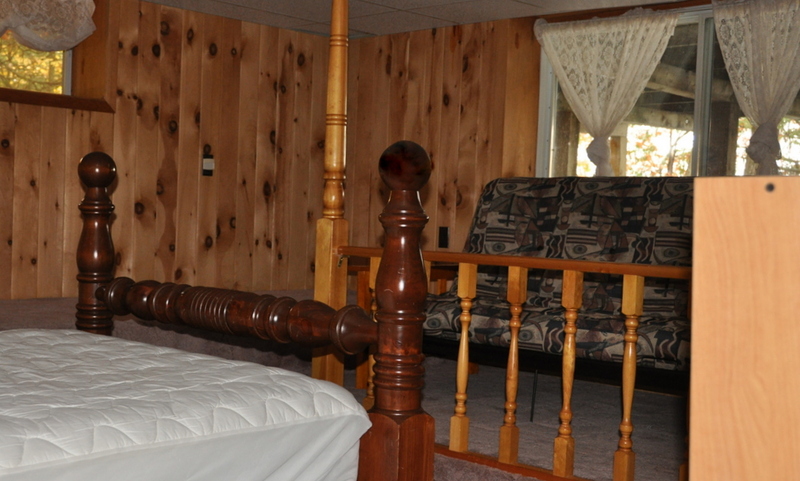 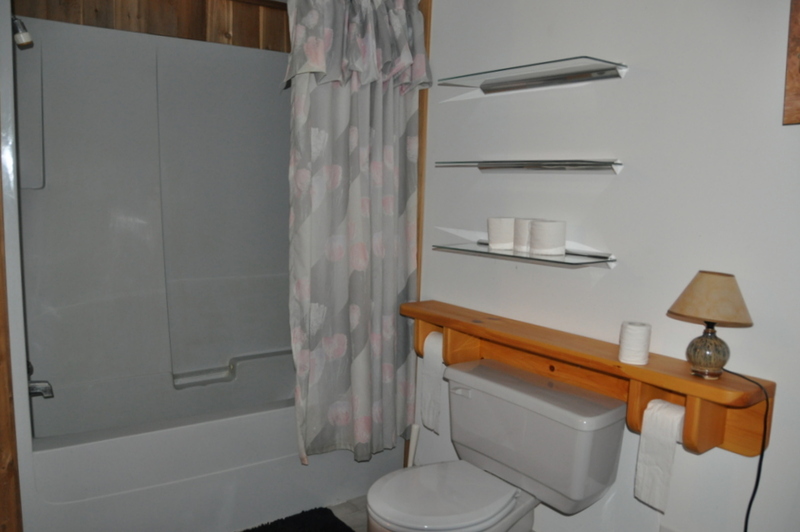 You can boat or drive to the village of Magnetawan for some amenities. 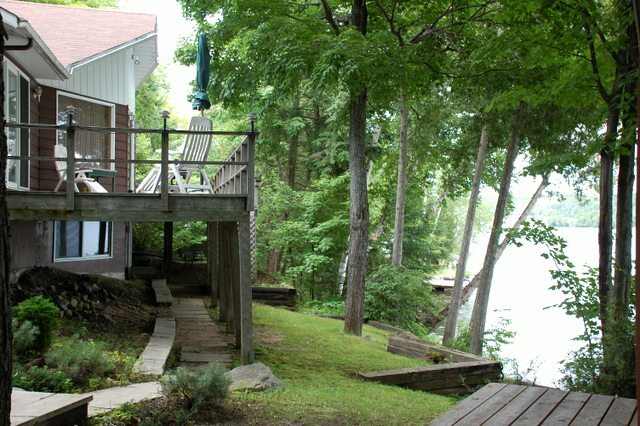 ​For your convenience, there will be a mandatory cleaning fee of $100 added to your bill so that you don't have to do a detailed cleaning yourself (you are still required to leave the cottage neat and tidy, as well as remove all your garbage and recycling).